Blockbuster Christmas ads are mostly a British thing. But Spain has elbowed its way into the fun in recent years, thanks to one advertiser in particular—the Spanish Lottery, which has taken to rolling out long-form ads celebrating the hope and togetherness that its famously communal Christmas lottery represents. Following the remarkable, award-winning animated story “Justino” in 2015, and last year’s charming “Carmina,” agency Leo Burnett Madrid is going extra long this year, releasing an 18-minute film from Oscar-winning director Alejandro Amenábar that finds its magic in an otherworldly, extraterrestrial theme. 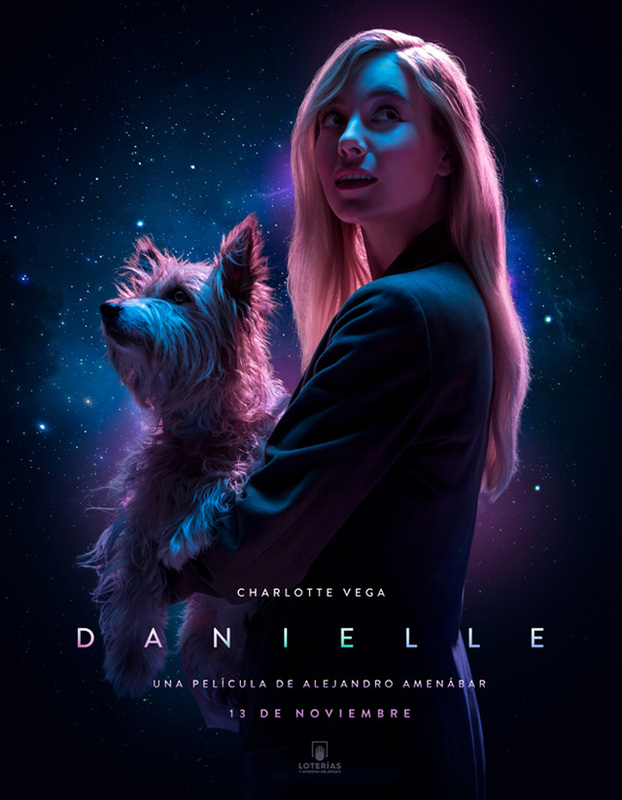 Titled “Danielle,” it tells the tale of an alien who comes to Earth, takes the form of a human woman, and awkwardly tries to assimilate into Madrid culture—without knowing how to communicate whatsoever, at least in the beginning. First, she is befriended first by a dog, then by a handsome (though somewhat lonely) Madrid tour guide named Daniel. In their first interactions, she can’t do much but repeat his name. Thinking she’s a foreigner who doesn’t speak Spanish, Daniel mistakenly thinks she’s saying her name is Danielle. Their verbal communication doesn’t improve much from there, but this being a heartwarming Christmas film, they soon connect on a deeper level—in fact, it becomes cosmic. And soon, you begin to wonder whether Danielle will ever want to go back home. Setting aside the obvious point that any alien visitor to Earth in 2017 would almost certainly know a shitshow when it saw one and hightail it out of here pronto, it’s a charming little story—shot beautifully, with appealing performances all around, particularly by Charlotte Vega and Dani Luque in the lead roles. We also liked the sly move by Burnett to have Danielle take the form of a billboard model—clearly the ideal of human beauty there. The film, like other entries in the series, makes the lottery central to the story, but not obtrusive. And it poignantly gets across the message that the best part about the Spanish Christmas lottery is sharing it with the ones you love. The campaign has a cool digital component. Spaniards “share” the Christmas lottery (a tradition since 1812) by purchasing tickets in groups with friends and family, or with neighbors at local bars. This year, at danielleydaniel.com, they will—for the first time—be able to create connections with unknown lotto players who share their same number. The film will get an airing on TV, and the campaign will extend to print, radio, out-of-home, cinema and other digital assets.